From the black and white and various grays the Addams Family returns to the big screen, for the first time in computer graphics, as well as the mythical lion of the MGM announces in the first teaser. Metro-Goldwyn-Mayer presents his new comedy, ad animated adventure for the big screen developed by Cinesite in Vancouver (Canada) and directed by Greg Tiernan and Conrad Vernon (Sausage Party - 2016), with a script written by Pamela Pettler (Corpse Bride, Monster House). "Get ready to snap your fingers!" 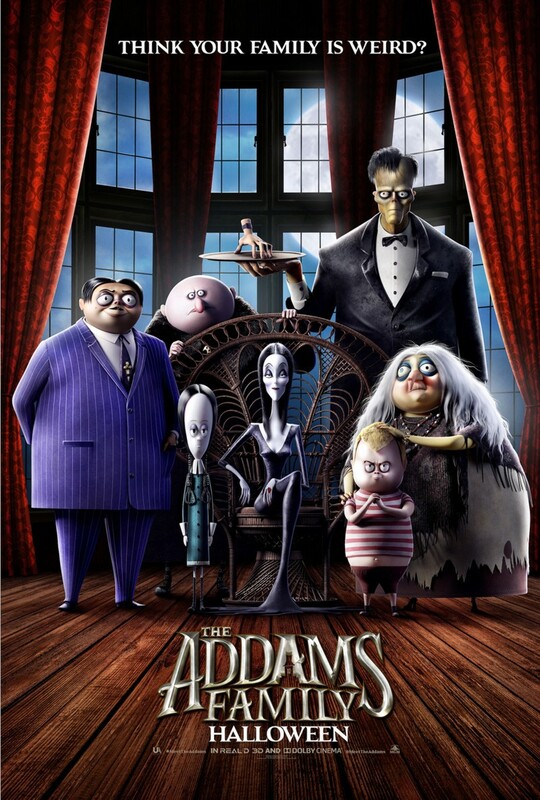 says the studios, "the Addams Family is back in the first animated comedy about the kookiest family on the block. Funny, outlandish, and completely iconic, the Addams Family redefines what it means to be a good neighbor." A great Hollywood cast will be behind the main characters: Oscar Isaac (as Gomez Addams), Charlize Theron (Morticia Addams), Chloé Grace Moretz (Wednesday), Finn Wolfhard (Pugsley), Nick Kroll (Uncle Fester), Bette Midler (Grandmama) and Allison Janney (Margaux Needler).